KMS REALTY GROUP is a team of dynamic and experienced realtors who provide outstanding service to both buyers and sellers. Kevin Swetsky is Broker and Owner for KMS Realty Group. He began his real estate career after receiving his degree in 1995 from College of Staten Island in Finance. 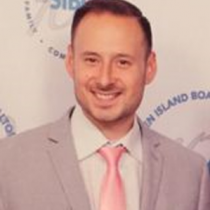 He spent 18 years working for Coldwell Banker while mastering the Staten Island communities. With knowledge and expertise in hand, Kevin decided to begin KMS realty group with the mission of giving back to the community in which he resides and providing individual attention to every client whether they are selling or purchasing a new home. Despite his tremendous success in real estate, Kevin is also proud of his work as a father to his three children. Whether it is selling your home or your buying your first home, Kevin and his team will be there to guide every step of the process. They are educated about the current markets in Staten Island and utilize the best technology possible to find and list your home. Most importantly, Kevin and his team hold themselves accountable to the community in which they live in. KMS Realty Group welcomes your future call or e-mail, and looks forward to helping you buy or sell a home.